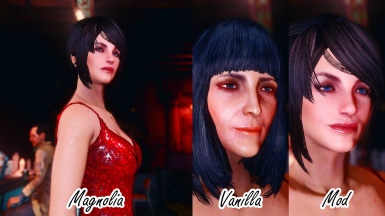 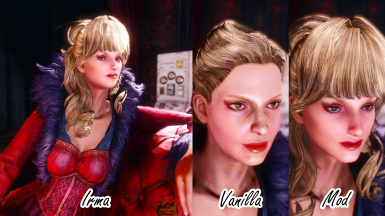 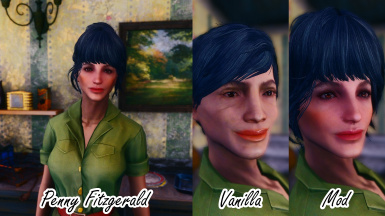 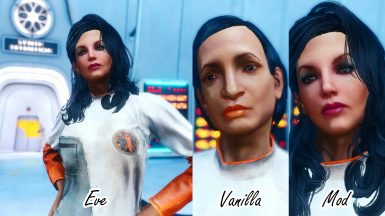 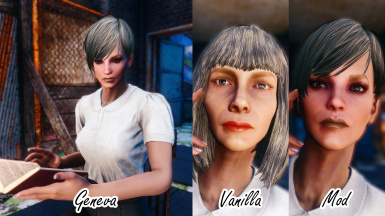 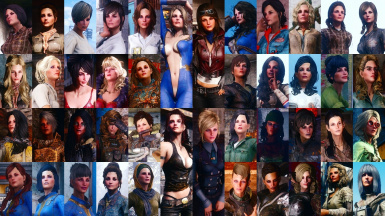 This MOD replaces the appearance of 43 female NPCs. 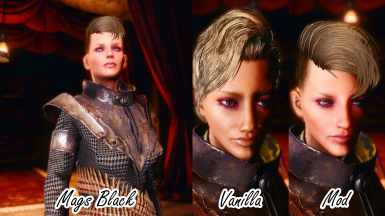 There are LooksMenu preset files as an option file. 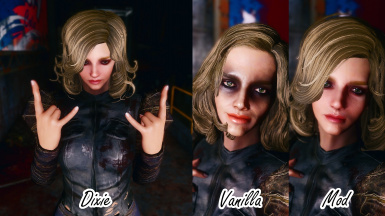 deLuxe Makeup Please choose "Lip Liner Mask" only. 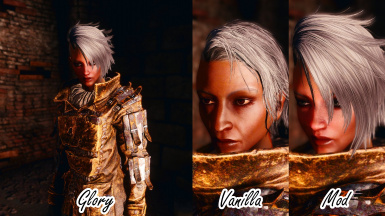 Female Neck Tweaks Please choose "Editor's Choice". 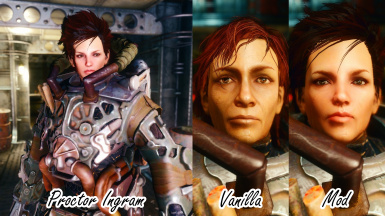 Valkyr Female Face and Body Textures Please choose "Valkyr Face Texture" only. 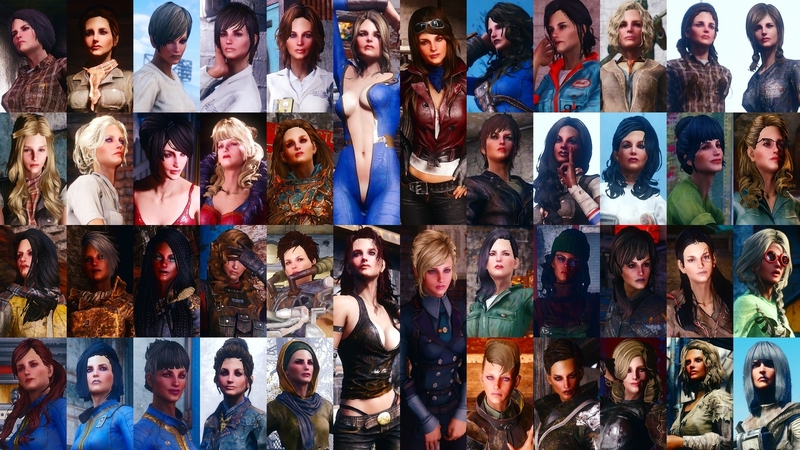 This MOD replaces the appearance of 43 female NPCs. 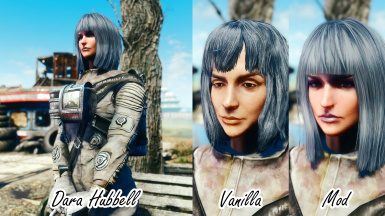 There are LooksMenu preset files as an option file. 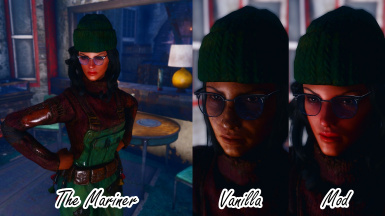 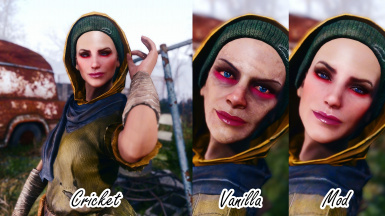 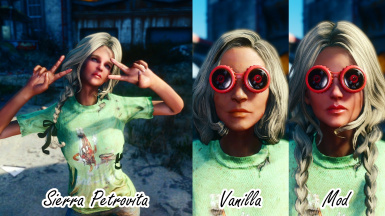 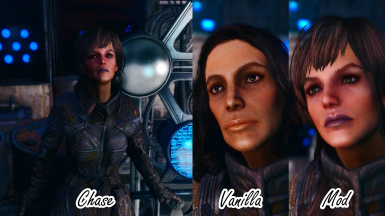 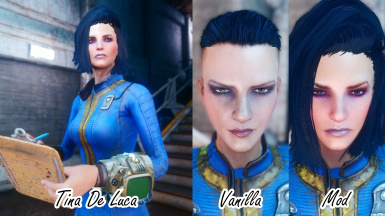 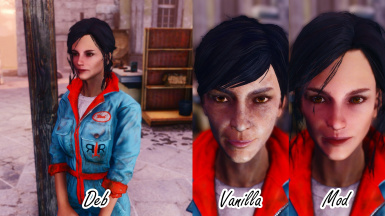 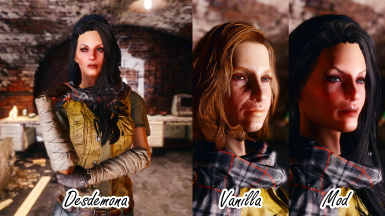 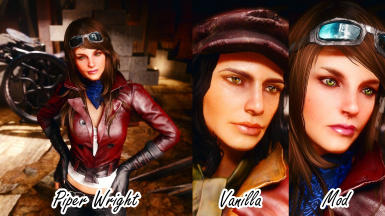 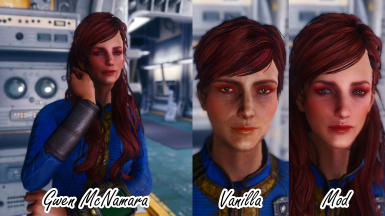 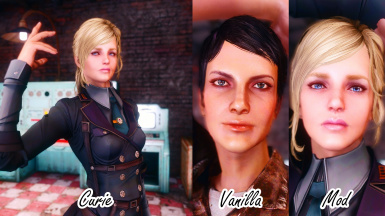 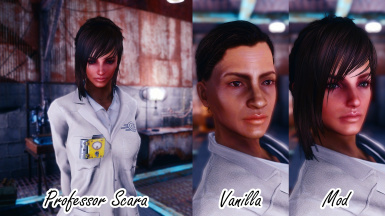 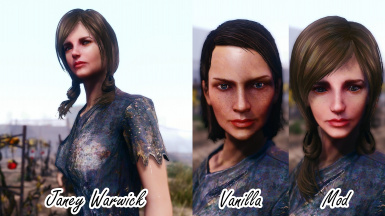 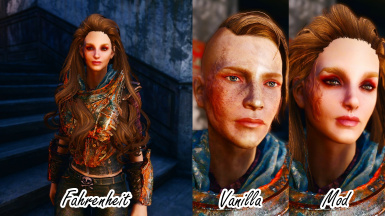 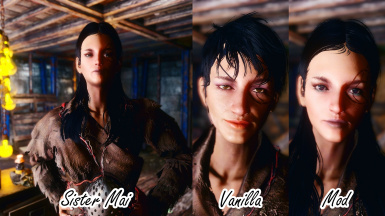 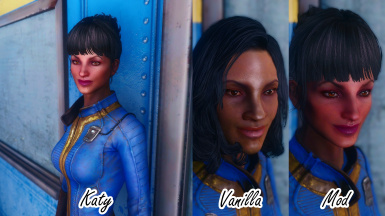 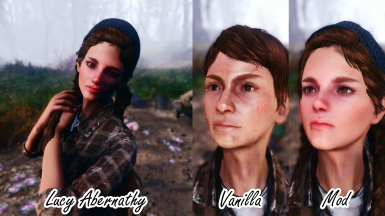 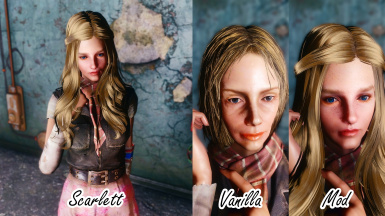 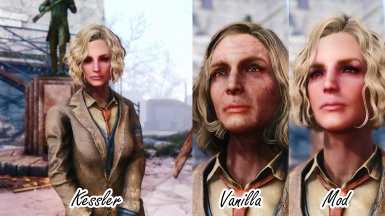 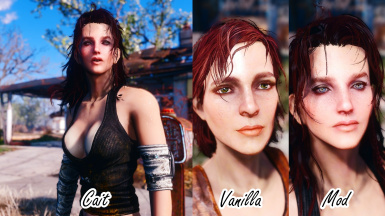 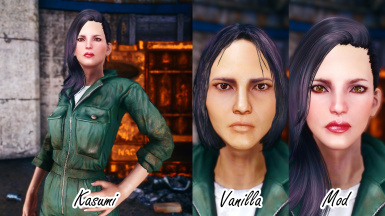 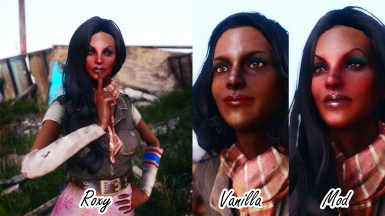 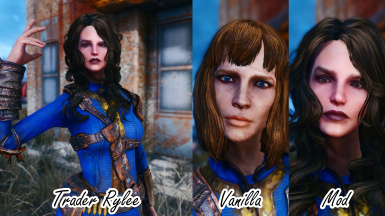 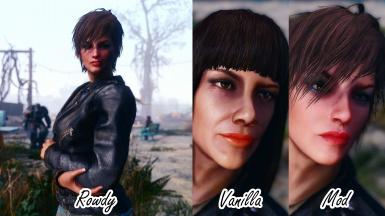 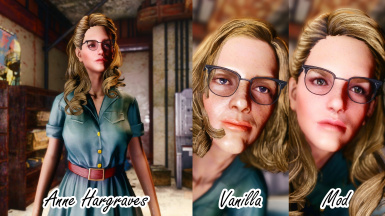 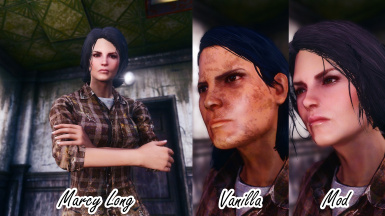 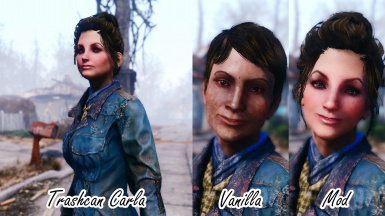 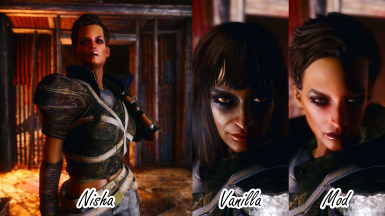 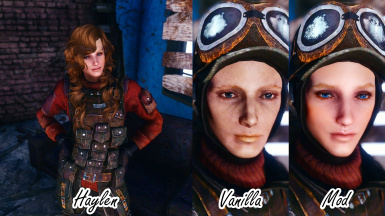 Based on the past my "Wasteland Heroines Replacer" series, this MOD modifies or adjusts most characters, and adds new characters. 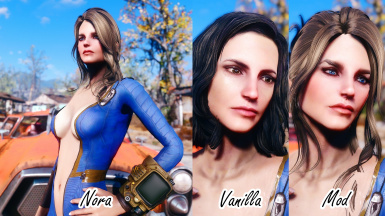 ﻿﻿﻿If you want exactly the same as SS, please use these MODs. 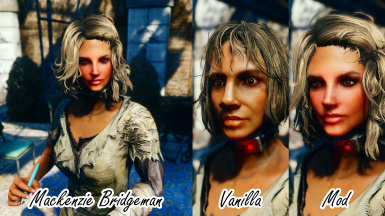 The target NPC is as follows. 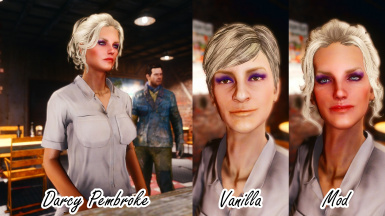 This MOD was made with personal preference of the author. 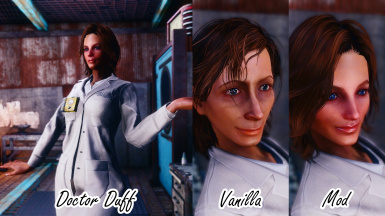 So, it may differ significantly from the original impression. 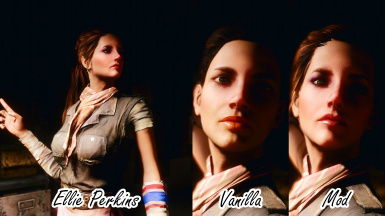 If you dislike this, please close gently this page. 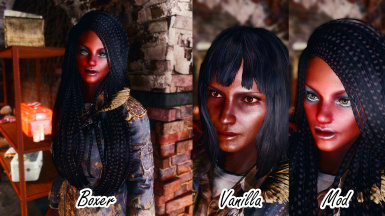 On the other hand, if you like this MOD please endorse it.